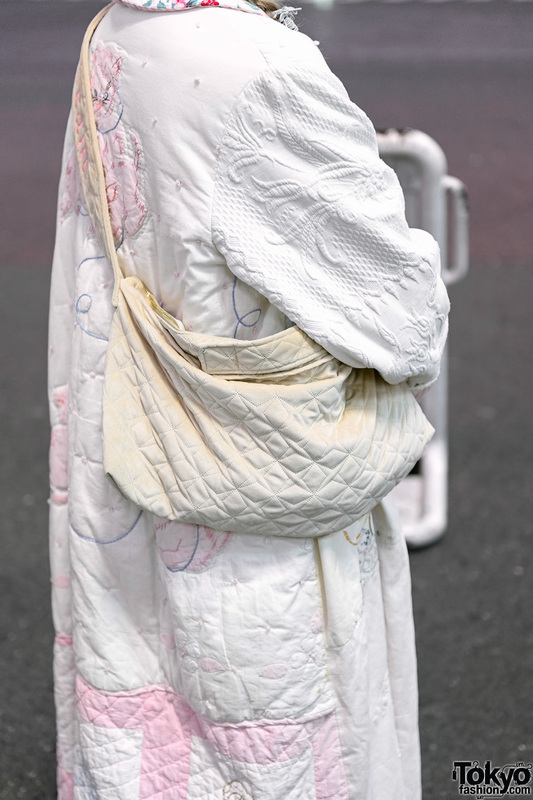 Catching our attention on the streets of Shibuya one late afternoon is Daisy with her vintage pink and white ensemble. 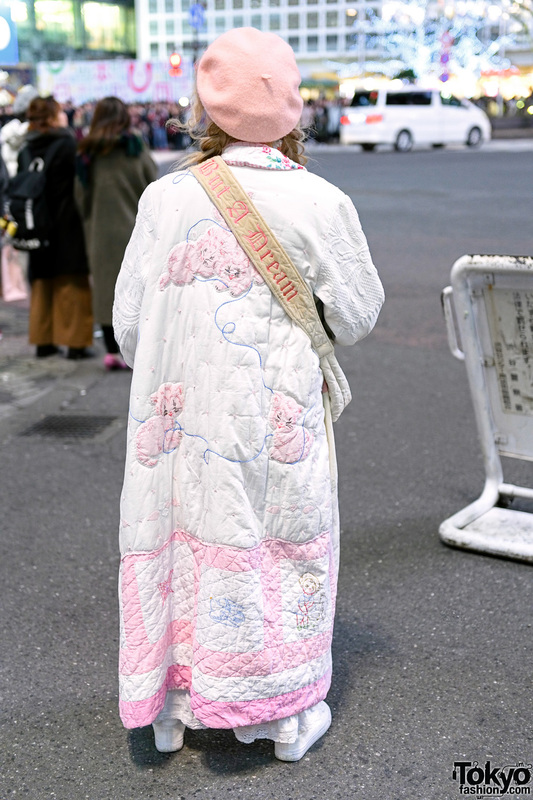 The 29-year-old vintage shop owner is wearing a long white vintage collarless quilted coat, which features different textures, embroidered patterns, oversized buttons and floral prints. 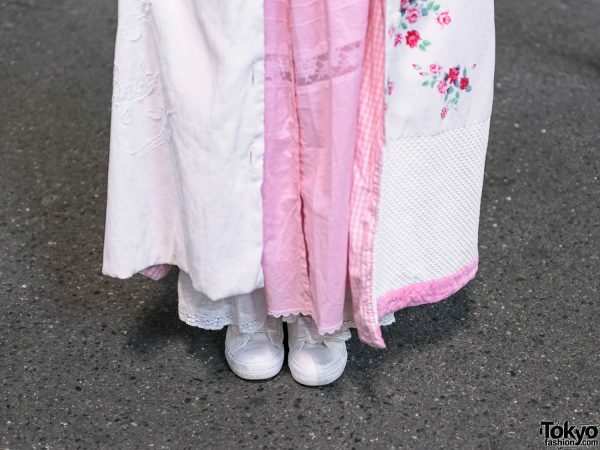 Daisy wore a pink long dress with a ruffled collar, eyelet lace detailing, and tiered hem. She paired her dress with a white vintage knit sweater with cute prints and a bow accent. 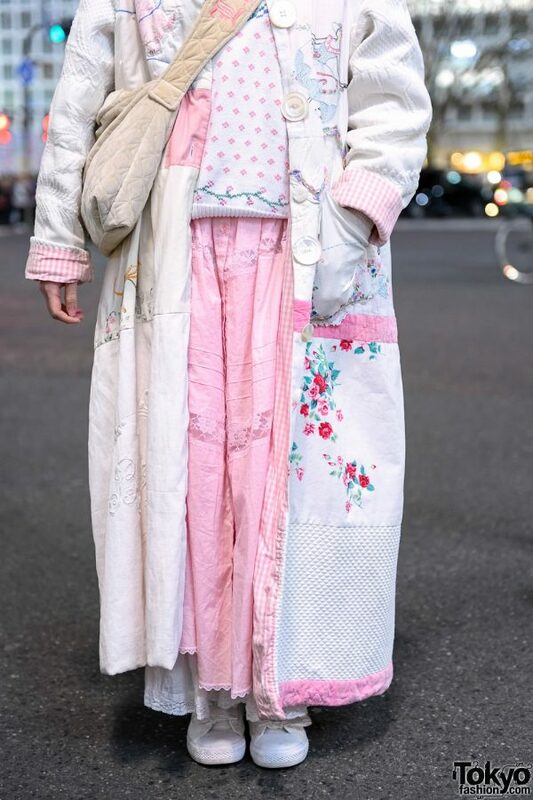 White sneakers with velcro strap closures, a pink fuzzy beanie, beaded drop earrings, and a beige quilted sling bag from Taobao rounded out her vintage style. For more on Daisy and her vintage shop, follow her on Instagram.